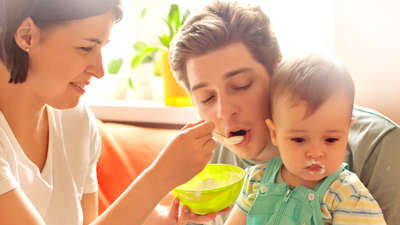 Choosing healthy snacks for family can be extremely challenging at times, especially when your energy levels are low. During busy periods, it's all too easy to grab the packet of chips, or the classic crackers and cheese. With the new season now in full swing, it's the perfect opportunity to hit refresh on your routine and give your snacks the ultimate spring clean. 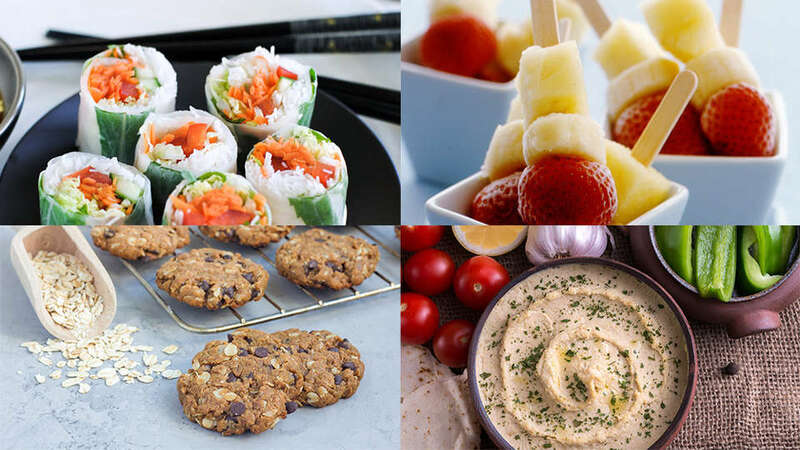 Kinderling Conversation recently spoke to Diabetes NSW & ACT who shared their tips for healthy lunchbox-friendly snacks for hungry kids (and parents). Rich in antioxidants and dietary fibre, fruit - particularly apples and bananas, are perfect low GI snacks to eat on the go. Purchasing before you hit the road stretches your dollar further and ensures a piece is in arm's reach. 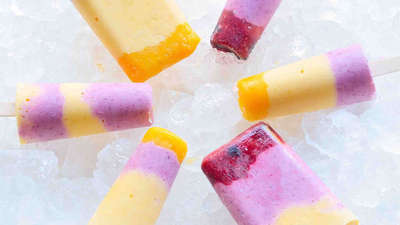 Fruit Popsicles are a great option not only because they are nutritionally sound, but because they make eating fruit easy and fun for little ones. 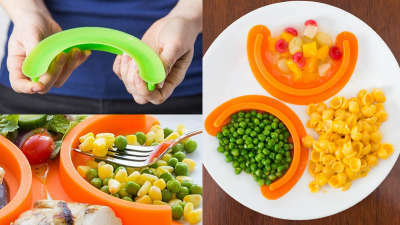 Kids will love experimenting with different fruits and even getting involved in the creation process in the kitchen. Dashing from A-Z? Milk and yoghurt might not sound convenient, but there are practical ways to enjoy their low GI goodness. These Spinach and Cheese Polenta Muffins are calcium rich and are a great way to boost your families veggie intake! These muffins can be stored in the freezer for up to two week and make the perfect lunchbox inclusion. Protein-rich and a source of good fats, raw mixed nuts are the ultimate savoury snack. Pre-portioning two tablespoons into zip-lock bags helps you enjoy the health benefits in the right amount. For something different, beans and chickpeas work wonders too. 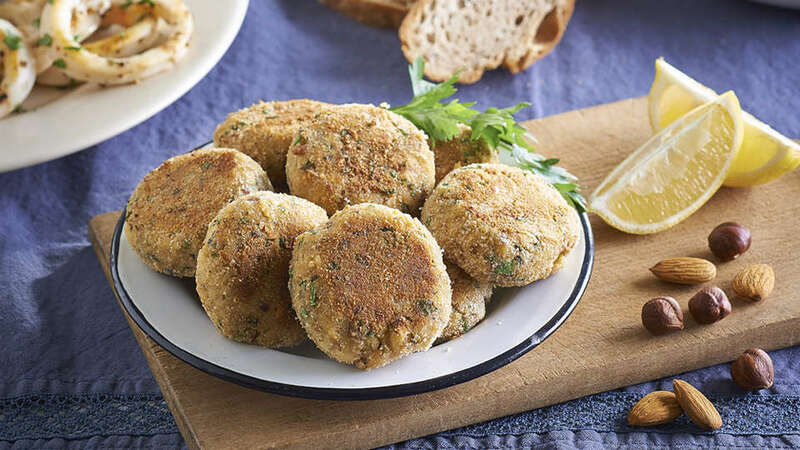 Each serving of these savoury Chickpea and Nut Cakes contain 20 grams of nuts - great for supporting cardiovascular health. Pikelets have always been a favourite in the schoolyard! These Fruit Pikelets can be enjoyed all year round, and are lower in saturated fat when compared to a more traditional pikelet recipe. 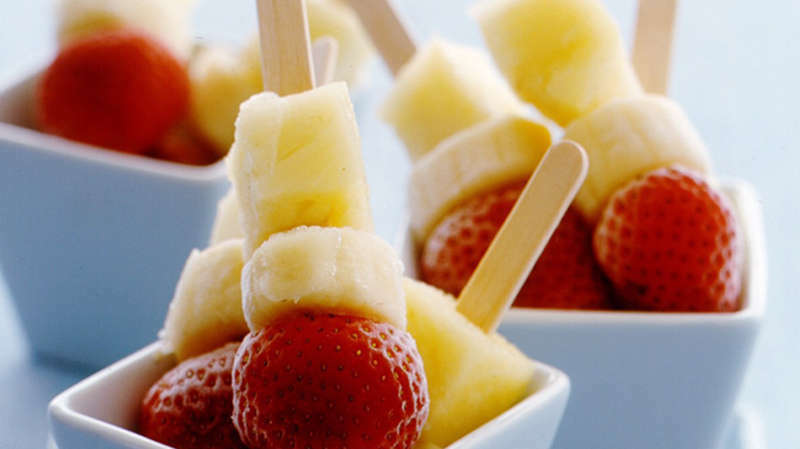 Serving them up as a snack is a much healthier alternative to rich cakes and biscuits, but still tastes like a treat! 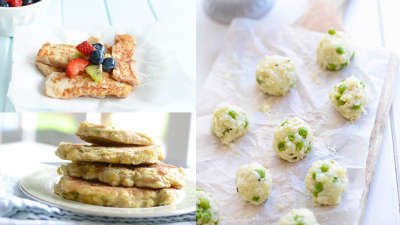 These pikelets are also ideal for your family weekend breakfast. When it comes to snacking, many of us are guilty of overlooking vegetables as a great option. Cut up pieces of carrot, Lebanese cucumber, capsicum and celery Veggie sticks make an excellent addition to every lunchbox. 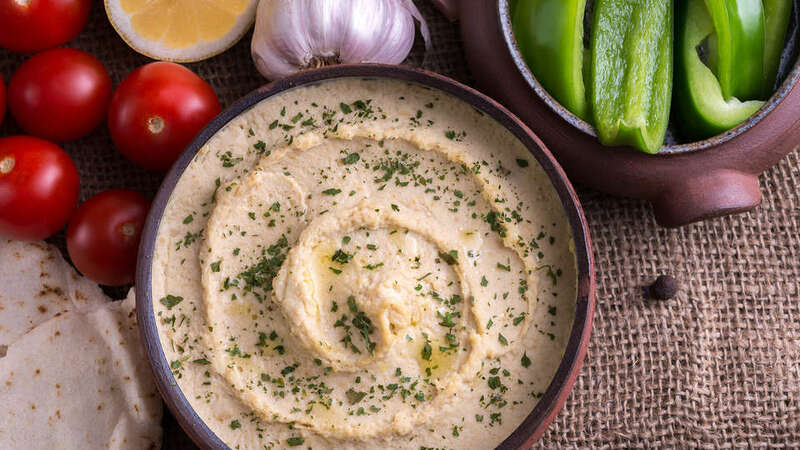 For extra protein and flavour, serve with this easy to make Healthy Hommus dip. When shopping for cereal-based bars and cookies for the family, the packaging can make it challenging to identify healthy options. Rather than focusing on the sugar content alone, examine the Nutrition Information Panel. Best bars have less than 550kJ per serve, less than 33g Total Carbohydrate per serve, less than 5g Total Fat per 100g and less than 6g Fibre per 100g. These Gluten Free Weet-Bix Cookies meet the nutritional guidelines of a healthy cereal-based bar and make the perfect morning tea. Potato crisps, corn chips and similar varieties of savoury snacks can contain more than 30 per cent fat (mostly saturated) and are high in salt! 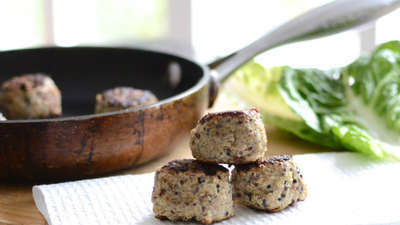 Healthy savoury snacks have ≤ 5g Total Fat per 100g and ≤ 450mg sodium per 100g. 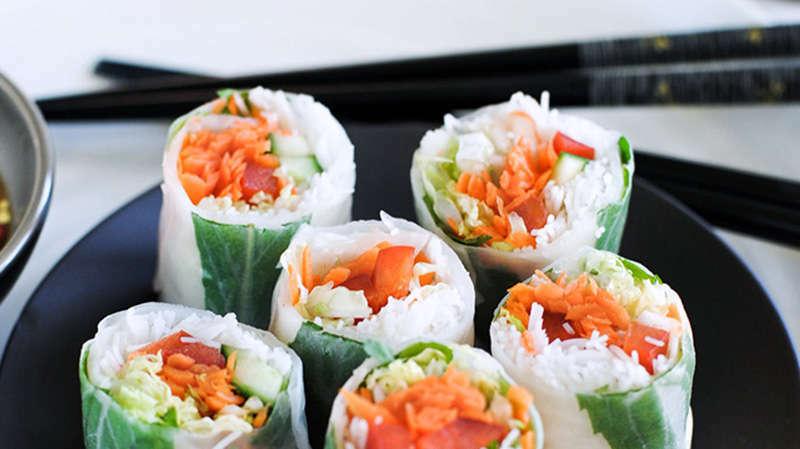 An alternative savoury option that get kids in the kitchen, are these delicious Fresh Noodle & Vegetable Rolls - full of fresh veggies! If you’re time-poor in the morning or generally not a breakfast person, these breakfast bars are a convenient way to fuel up. Pre-made or enjoyed fresh out of the oven, these Muesli Mini Loaves are a healthy high-fibre breakfast option for the family that will keep you feeling fuller for longer. When it comes to biscuits, cakes and muffins, homemade is generally the healthier alternative, particularly when baking with healthy fats and fibrous ingredients like wholemeal flour, dried fruit and oats. 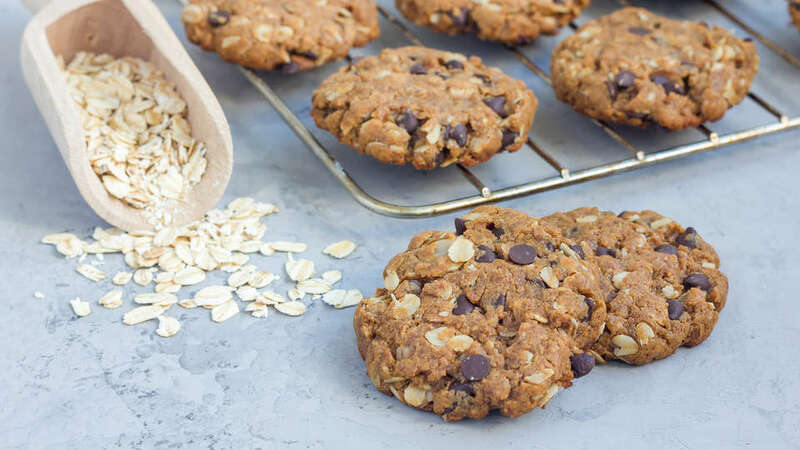 Give your sweet tooth an overhaul with these tasty Chocolate Chip Oat Cookies. The navy beans and lentils provide a great source of soluble fibre which helps lower unhealthy ‘LDL’ cholesterol. You’ll be pleasantly surprised by the versatile nature of lentils as an ingredient! And don’t forget to keep drinking water! Sometimes our hunger pangs disguise a hidden thirst. Take some sips from your water bottle and tune in to whether you’re really feeling peckish! 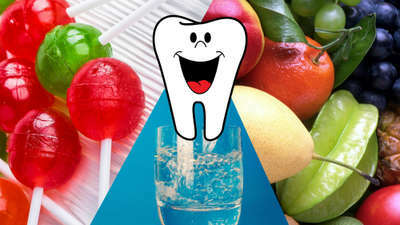 Disclaimer: All dietary suggestions are general in nature and may not be specific to your individual needs. For individualised advice speak to an Accredited Practising Dietitian. 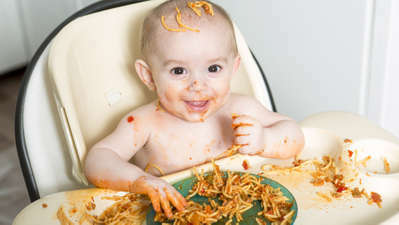 The perfect fix for your fussy eater.